We know you are anxious to drive your new used car off of our lot at DePaula and show it to your family and friends. But how long will you own this beautiful pre-owned vehicle? That depends on how well you take care of it. A pre-owned vehicle requires more attention than a new vehicle to keep it in good shape. Even though used cars today are better made and better maintained than those a decade or so ago, they still need on-going care to keep them running at tip-top condition. If you do regular maintenance, you’ll keep it running past the national average of 11.4 years. Here are a few tips to help you keep your pre-owned vehicle in tip-top shape. If there is one important job to do for your new pre-owned vehicle it is to provide a regular oil change. This routine maintenance especially in a used or older vehicle keeps its moving parts well-lubricated and prevents damage. It’s an easy job. When your car is cool and on a level flat surface, wipe the dipstick clean and then dip it all the way to get an accurate reading. If need be, add a quart of oil each time; too much and you’ll harm the engine. If you find that you need an oil change more frequently, bring it to our experts at DePaula to check for a malfunction. Changing the oil and air filters is another routine maintenance job. If the oil that drains out is jet black and peppered with white flakes, there is something wrong with the engine. If you find chunks of metal in the drained oil, it’s another sign of a problem. To remedy the problem, drain the oil and replace the filters and refill with synthetic oil. That will help to get rid of any sludge. Take the car for a quick drive and drain the oil. Do this several times until the oil drains clear. If the oil is still discolored, bring it to our mechanics at DePaula for a thorough evaluation. It doesn’t matter what time of year you purchased your used car from us at DePaula. One of the most critical and crucial parts of your car is its cooling system. Its health will determine the longevity and performance of your used vehicle. No matter the season, hoses that carry coolant in your car’s engine go through wear and tear. Both the water pump and heater hoses need to be regularly replaced or your car will breakdown. What’s a sign when they need to be replaced? A green liquid (antifreeze) will trickle out of the water pumps or you’ll see a fluid leaking under your vehicle. It’s best to change the coolant every 24,000-30,000 miles. At least once every two years, bleed the brakes to keep the calipers and other parts in good condition. When you do the job, look and see if the fluid runs amber, clear of particles. That shows that the brake system is in good condition. On the other hand, if the brake fluid is dark black with pieces of rubber, you’ll need to replace the rubber brake lines and check the rotors. Your pre-owned vehicle might have been out in the weather before you purchased it. Now that you are the new owner, take care of it and wash it regularly. It will help you determine if there are any spots that need to be fixed. Take the time to wax your car, too. This adds a protective layer and keeps the paint job looking nice and protects it from rust and corrosion. After you’ve driven your pre-owned vehicle for a while, you’ll know how it drives and will surely notice if you’ve put any small bumps or scratches on it. Our tip is to spend about five to ten minutes inspecting your car every now and then. Look and see how your tires are wearing. Open the hood and inspect the hoses and engine. Make sure that all of your exterior lights are working properly. Not only will it help you to diagnose any problems but it will ensure that you are not stopped by the police and get a ticket. Just because you purchased your used car from us at DePaula, doesn’t mean you don’t have to visit us again. Our service department with our highly skilled technicians will be happy to monitor your car’s health and keep it running for years on end. Our tip is to keep coming to our service department as long as you own the car. We’ll get to know you, your car, and your driving habits. We’ll keep excellent records of the service and repairs we’ve done. If it is possible, keep your pre-owned vehicle stored in a garage or under a carport or cover. This will help to keep your car, paint, and interior out of the sun’s harmful rays. It will also keep your pre-owned vehicle away from bird droppings or tree sap. In the winter, it will keep your car safe from the local snow removal trucks. 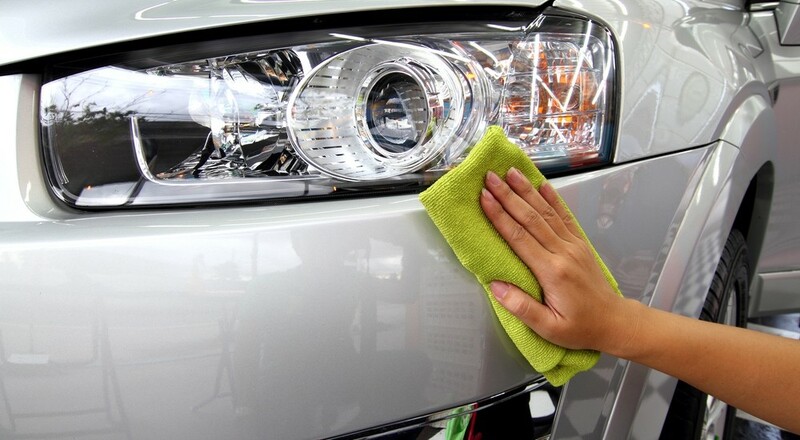 Plus, it will help to avoid scratches or dings on your pre-owned vehicle from other car owners. At DePaula, we are proud of the used cars for sale in our showroom. We want you to enjoy your pre-owned vehicle for as long as possible. By taking regular care of your used car, you’ll be on the road for as long as you want. You’ll be saving plenty of cash in routine repairs as well, just by scheduling a few regular maintenance reminders for yourself.